The NFL’s rules about who can hit who and when, and how, and where, are even more confusing than I thought. 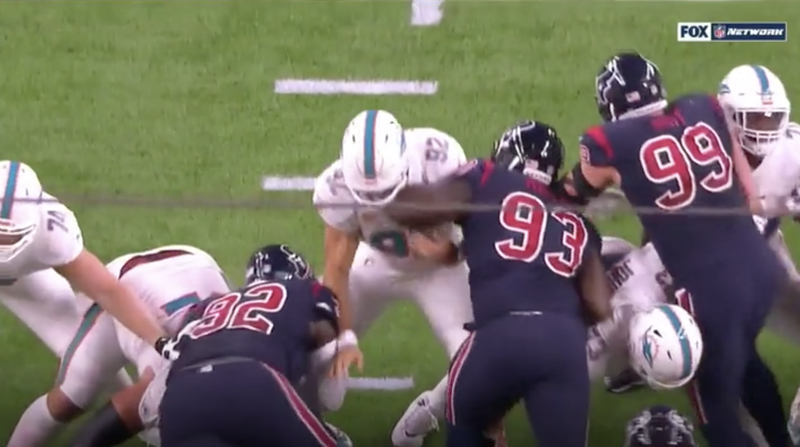 Tonight the Dolphins were gifted a first down and half the distance to the goal on a call I’m not sure I’ve ever seen before: a personal foul against the Texans for making contact with, uh, the upper body of a long-snapper. Joel Heath appears to crash into long snapper John Denney’s shoulder pads, which, hmm, yes, that would seem to be exactly what the shoulder pads are there for. Heath’s left elbow maybe flares into Denney’s face mask? 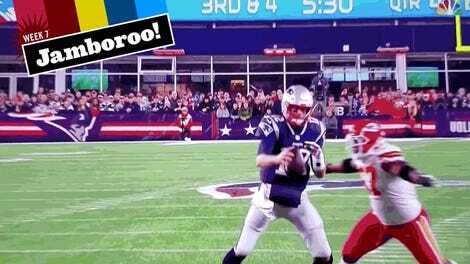 At any rate, the penalty nullified the field goal and gave the Dolphins a fresh set of downs. On the very next play, Kenyan Drake scampered 12 yards for the game’s first score. 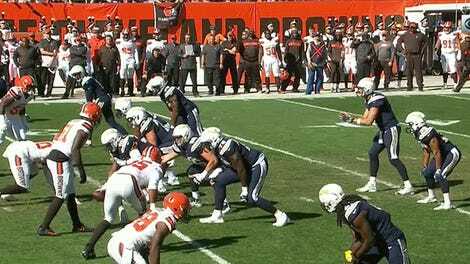 Maybe don’t have the long snapper in a stance if it’s illegal to hit him in the upper chest.